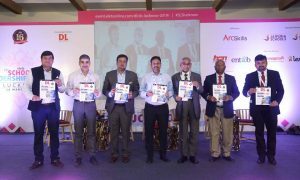 KALOREX – A word associated with progressive education since the past two decades, has its banner flying high in many cities in India as well as in the UAE. The Kalorex Group has always committed itself to offer an educational programme to the entire spectrum of learners. 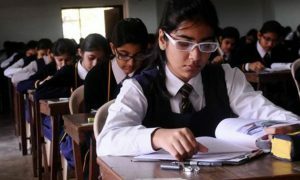 Be it an IB World School, the two Delhi Public Schools and five Calorx Public Schools following the CBSE curriculum and the Kalorex Preschool chain of schools. The special initiatives of Kalorex are Prerna – offering interventions for students with special needs and Visamo – catering to the educational needs of the underprivileged students as well as the VEDIC institute of Kalorex offers skill development courses for girls. The teachers implement curriculum methods and strategies that use technology to maximise student learning using Blended and Flipped class strategies. These are the new age global classroom methods which are being implemented in our schools keeping in mind the huge variety of online resources that are available. With the newly proposed Budget of 2018-19, with focus on technology enabled classrooms with smart boards replacing blackboards, the students of Kalorex have been exposed to the progressive methods of teaching and learning since the beginning. We also cater to parents’ needs to help them realise that today’s generation is as much at ease with smart phone and laptops as the earlier generation was with books and pens. The age of mobile learning and cloud computing is upon us. Parent workshops are also being held continuously to orient them towards the new trends in technology to ensure understanding of the changing times and their cooperation. Technological innovations are influencing the way students learn and we are doing our bit to keep abreast with the fast moving technological advancements. Over the years the Group has expanded from 12 institutes till 2012 to more than 40 institutes within a span of 5 years. With a focus on quality teaching and bringing in the latest pedagogies inside the classrooms, Kalorex teachers are known for their innovative teaching styles. The group is strong on systems and processes and promotes a collaborative culture. Talent is recognized through rewards and recognitions and teachers and staff are encouraged to take on professional development programmes to upgrade their skills and knowledge through in house or external trainings and workshops. The indigenously designed Kalorex Taxonomy aims at developing Goal Setting and Peoples’ Skills in the students and all teaching plans are designed keeping that in mind. The teaching quality is kept in check with regular academic and quality audits done conducted by the Learning Development and Quality Department. All Kalorexians – students and staff – live up to the Kalorex Core values and display the same in their day to day activities. Dynamism, Humanistic Approach, Living in the Gap (Continuous Learning Mode), Ownership, Speed with Accuracy are the ideals being practiced by every Kalorexian day-in day-out. 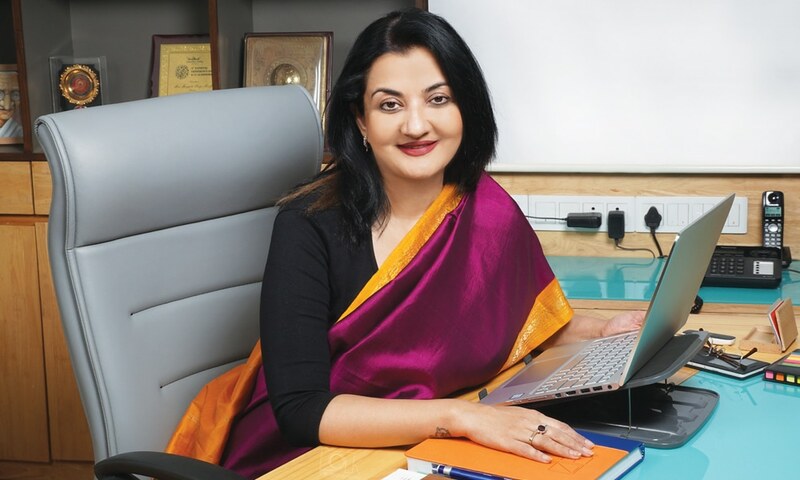 The living example of the Kalorex Core Values is the MD and CEO of the group herself – Dr Manjula Pooja Shroff who is the driving force of the Group. Her zeal and enthusiasm motivates and encourages every member of the Kalorex family toput in their best and always stay in the learning mode. Dr Manjula Pooja Shroff holds a Doctorate in Business Administration from Commonwealth University, London. An IIM Ahmedabad alumni, she is an Edupreneur with dedicated and diverse experience in the field of education. A postgraduate from York University and executive alumni from London School of Economics, her educational institutes and social projects making noteworthy contribution to the Society. She has proven her ability to operate educational institutions with innovative ideas and hands on management, being recognized through a number of National and International awards conferred in the career spanning over two decades including the ‘Secular India Harmony Award’ by the President of India. She also holds an additional portfolio as an Independent Director at Gujarat Gas Company Ltd, Eimco Elecon (India) Limited and Sabarmati Gas Ltd.
Dr Shroff has tremendous zeal and enthusiasm for life and this rubs on to everyone who she connects with. Apart from her hands on involvement in all her institutes, she also advocates a healthy lifestyle for all. An avid practitioner of Aerial Yoga herself, her Forever Young YouTube videos (shroffim.com) have touched people from all walks of life and are highly popular. Her love for the outdoors has made her try her hand in adventure sports like sky diving, parasailing, snorkeling, skiing, trekking and white water rafting. She has participated in a few running marathons, is an enthusiastic cyclists who has attempted cross country rides. Besides her participating in cylothons, she has been promoting the cause of Green Earth by encouraging young riders from 3 -16 years to pick up their cycles and ride.